Founded in 1926, Berkhamsted Theatre Company celebrated our 90th anniversary in 2016. Our focus is on bringing high quality amateur productions to the area and showcasing the talent of local performers, all whilst making the experience enjoyable for everyone involved. BTC as it is generally known puts on two shows a year, usually a play in the Spring and a musical in the Autumn. Productions include recent West End favourites as well as revivals of seasoned classics. Musical productions include Whistle Down the Wind, The Producers, Avenue Q, Sister Act, I Love You, You're Perfect, Now Change and Evita. Plays include Bedroom Farce and Road. Our Spring 2018 production is Arthur Miller's witch hunt classic The Crucible, with Tim Rice and Bjorn Ulvaeus's Chess as our Autumn 2018 musical. BTC rehearse on Mondays and Wednesdays with much merriment, and our famous refreshments help fuel serious rehearsing. We set ourselves the highest standards for our productions, and constantly push ourselves and our performers outside of our comfort zone in the pursuit of excellence. Our October 2016 production was the Tim Rice and Andrew Lloyd Webber musical Evita. As well as being an extremely rewarding experience for our cast and crew, the show garnered great praise from both audience and critics. The production also won the coveted Joe Putnam Award for Best Musical in the NODA London Region. 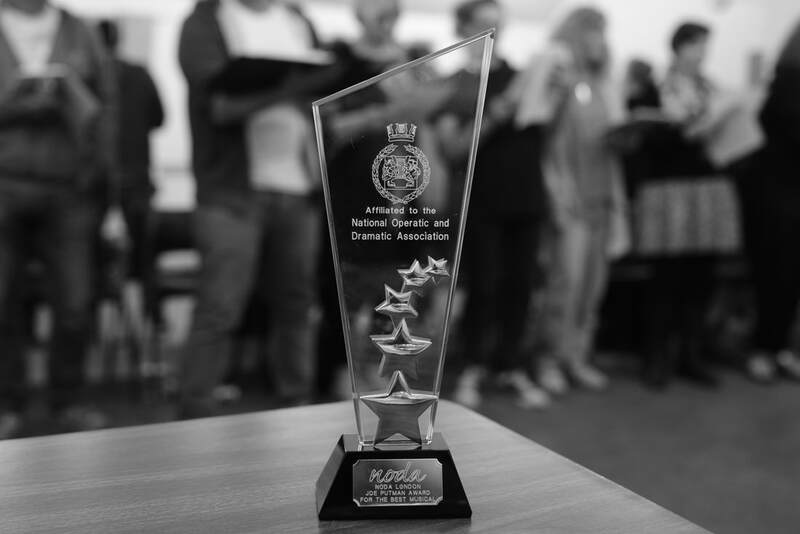 With the increasingly high standard of amateur productions within the area, to be awarded this accolade in our second year of affiliation to the NODA London Region is a huge honour and acknowledges the incredible team behind BTC's productions over recent years.